Makeup and beauty !!! : Another Award ! Okay back to my post ! 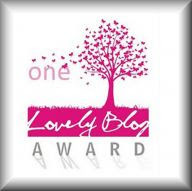 Thank you Iswarya and Nivedita for this "lovely blog Award".. I love this world of blogging. I use to browse lots of blog to read different posts. I found the definition of my life in my one and only son. Love to sleep but i can't as my son keep me on my feet always. I love my life and all the person related to my life. U did lotttss of shopping.....Me too doing lotttts of shopping.